Two hospice nurses have been commended for coming to the aid of a woman who had been stabbed in a knife attack. The nurses are among five members of staff at Shooting Star Chase children’s hospice care to receive police commendations for their actions following the stabbing in Hampton, Middlesex, last May. Shooting Star House lead nurse Sarah Sogeler and nurse Rachel O’Gara were praised for providing treatment to Rani Chandi, who sustained two stab wounds to the back. ‘As nurses, it’s part of our conduct to care for someone who is injured. It’s what we are trained to do. However, it is really nice of the police to thank us for this,’ said Ms Sogeler. The pair were waiting to greet bereaved families who were arriving for a ‘memory day’ when they heard a disturbance at a nearby supermarket car park. Then they saw a colleague, head of care Sandi Hillery, running towards them with Ms Chandi. ‘Rani was inconsolable, distressed and screaming. “He stabbed me, he stabbed me. I’m going to die”, she said. The nurses took Ms Chandi inside the building and sought to stem her injuries, initially using tissues – the first available items – then a first aid kit. An ambulance then arrived and took Ms Chandi to hospital. Ms Chandi said: ‘I can’t express how eternally grateful I am to them and everyone at Shooting Star House for rescuing me from a truly traumatic situation. Hospice staff then continued with the memory day for families and have kept in touch with Ms Chandi. 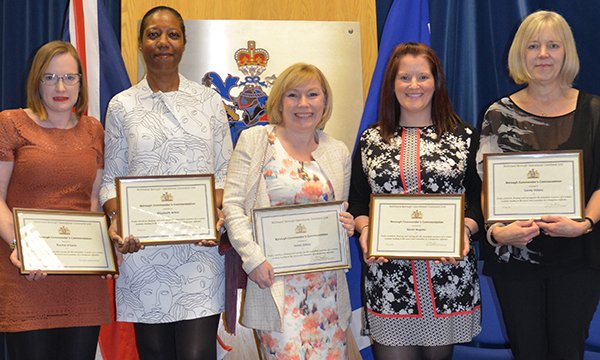 Ms Hillery, the hospice’s director of care Helen Sibley and care administration team leader Elizabeth Ackie also received commendations from the Metropolitan Police. In November 2016, Ethem Orhon, of Hampton, was found guilty of two counts of attempted murder and two counts of grievous bodily harm with intent. He was sentenced to 20 years in prison.